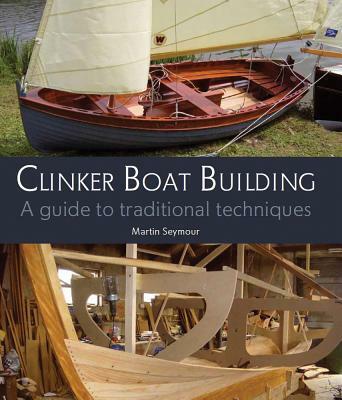 Clinker or Lapstrake is a method of attaching planks to a boat where the plank edges overlap each other. Overlapping planks are then fastened to each other and then to the frames. This age old method of planking, sometimes referred to as clinker planking, has been in use for hundreds of years. Much of the longitudinal strength of the hull is provided by the double thickness of the planking where it overlaps. 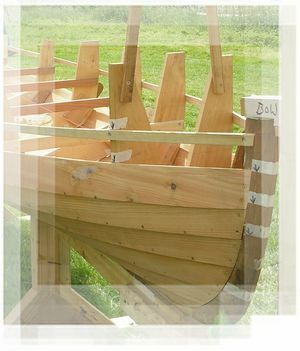 It is this partial overlapping of successive planks along the length of the boat which gives it its characteristic shape. 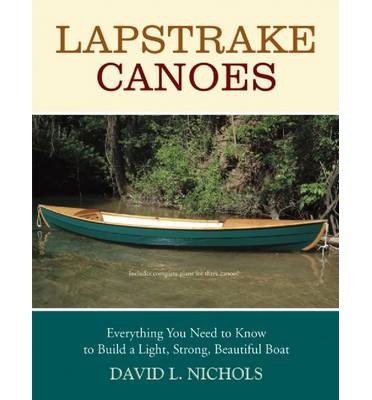 These boats are lightweight, very strong, stable and maneuverable. Their strength allows for the use of thinner planking than would normally be used on a carvel planked boat. The lower cost of materials makes it an ideal building method that the average handyman could afford. Plywood, because of its multidirectional strength makes it an excellent material for this construction method. 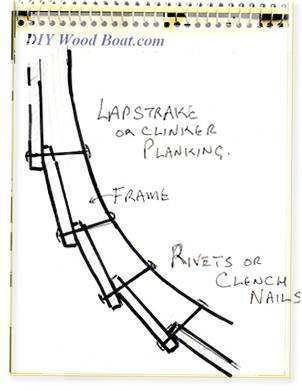 The usual method of fastening the planks on small boats is with clinch (clout) nails, where the nail is driven through and "clinched" or bent over. 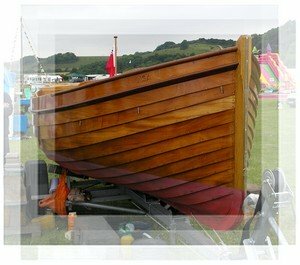 “Lisa” a mahogany launch built professionally by Nick Smith who has been building clinker boats since 1976. Copper rivets and roves are also a common fastening method though not quite as easy to fasten as clinching. On a light construction the extra hammering needed to form the rivet over the rove is best avoided. It is possible to use wood screws, however these should not be used when fastening to steam bent frames. One of the problems inherent to the maintenance of lapstrake is caused by ridges and gaps which collect moisture and dirt. With stitch and glue lapstrake most of these gaps will be filled with thickened epoxy. 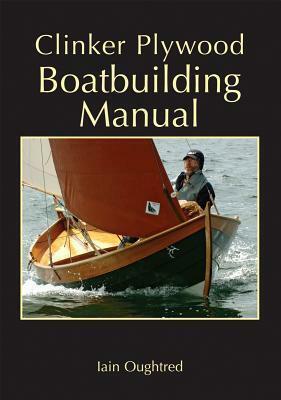 This makes for not only a stronger boat but a relatively maintenance free one as well. 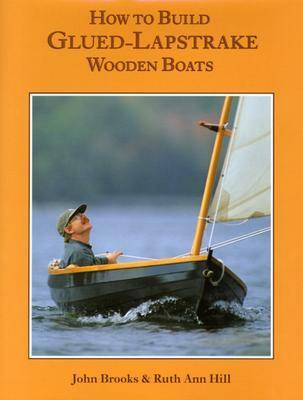 The lightness of construction combined with strength makes for superb boats for cruising and general knocking about. This makes it a good style for small boats and canoes, not just for their maneuverability but also because they are easy to handle ashore.